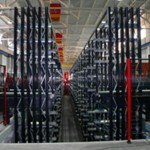 Equipment for Destacking (Aluminum and Steel), Inter Press Deeding and End of Line. 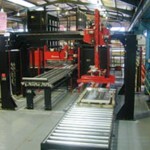 Equipment for handling, fastening and lubricating of stamping dies and parts. 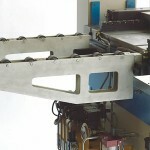 The turnover unit is used for inverting stamped panels; normally the turnover is placed between Press 1 and Press 2. 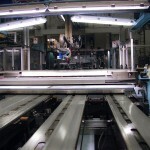 The Fanning Magnet Station is a device for separation of both Steel and Aluminum blanks. The construction is simple and solid. 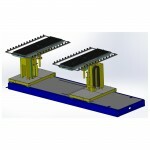 It can be used as a separation station for Steel, Aluminum or combined for both. Programmable or manual adjustments can be done. The Centering Station is a device for centering blanks, single or double, not attached. 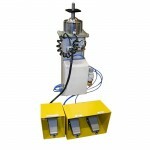 The Centering Station is normally used in a Destacker application. It has programmable axes. The construction is simple and solid. 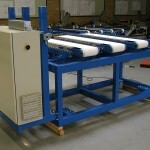 The Vacuum Belt Conveyor is a device for transportation of blanks. 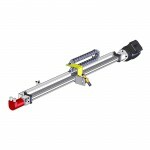 The Vacuum Belt Conveyor is normally used in a Destacker application. The construction is simple and solid. 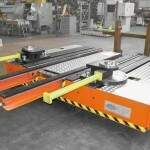 The conveyor handles both steel and aluminium. 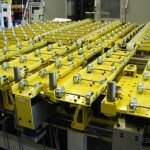 The Magnet Belt Conveyor is a device for transportation of blanks. 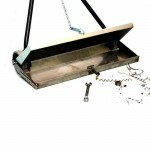 The Magnet Belt Conveyor is normally used in a Destacker application. The construction is simple and solid. 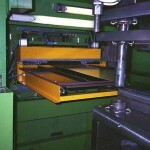 The Load Table is a device for locating panels before loading it into the Press. 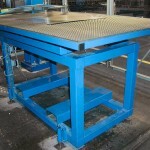 The Load Tabel is normally used in a Destacker application. It has programmable axes. The construction is simple and solid. The weight unit is a device for measuring the weight of the panel to recognize eventual "double parts". If the weight is more than the pre-set value it will indicate "double part". It is programmable for different blank thickness. 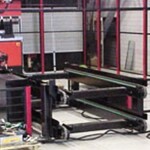 The laser pointer is used for simplifying the load of a stack of blanks onto a stack cart or a lifting table. It is programmable for different blank stacks. 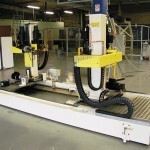 With a Die Cart the downtime is very short and the machines and surrrounding equipment accessibility is high. It's designed for the customer's special needs in order to obtain optimal solutions. 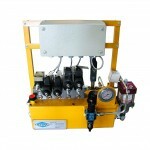 HLA is a pneumatic driven hydraulic power pack unit developed for clamps and die lifters. Completely sealed seat valves, safety-relieve valve, float- and pressure switch manometers and approved documentation for electricity/hydraulic is included. HLA is easy to install and adaptable to various circuits and functions. 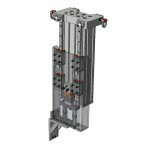 Tilt Master is a pillar that facilitates handling of heavy and irregular shaped items into the correct position, without strain and stress. 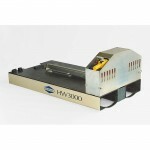 Suitable for inspections and complementary work such as grinding, alignment, welding etc. Your fantasy only will set limits for use of Tilt Master. 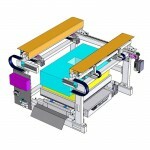 HTC has been developed in order to obtain automatic clamping of dies to the slide. 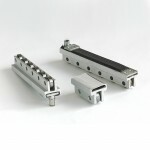 The die clamp ensures that the die is fastened on both sides, which reduces the risk of "human errors". 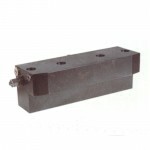 The Clamp die also clamp dies with irregular contour. 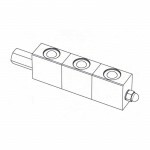 The SCH hydraulic clamp is signified by its high clamping capacity in spite of its small size and low weight. MC is a die clamp for quick die clamping, it has geared mechanisms for fast and vibrate-proof clamping. Genius solution, the bracket maintains its upper position even when the work piece is removed. 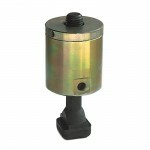 (built-in threaded nut in head) Stepless clamping range from 0-80 mm. SBH. 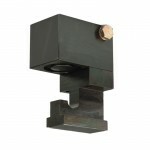 Hydraulic ledge clamp. These guides and clamps the die at the pressing table. 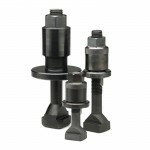 Hydraulic clamps for various die dimensions. 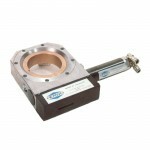 STH is a compact clamp with high flexibility. 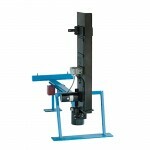 Hydraulic die lifter, RLH, with high carrying capacity well suited for heavier dies. Built in pistons are lifting the entire ledge which then is carrying the entire weight on the rolls. The die can be smoothly manoeuvred. 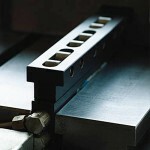 Easily fitted into the T-slots in the press table or into correctly fitting rectangular slots. Pneumatic die lifter, RLP, continuous casting of aluminium with high carrying capacity. 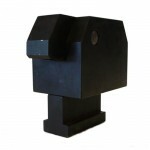 Well suited for light and medium weight dies up to 10 tons. Easily fitted into the T-slots in the press table. ROS is a double T-ledge for guiding and clamping the die. OS is built on the same principle but does not have rolls. This because the OS is mainly constructed for mounting on the slide, on presses with a fixed ROS ledges on the press table. Spring loaded tool support. For simple positioning of heavy dies in press-tables. EKM is fixed in predrilled holes. 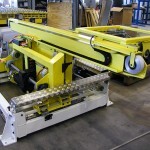 Hydraulically operated Ball Die Lifter, KLH, is especially designed for simple horizontal transfer of heavy dies, for instance the press-tables. KLH is fixed in the T-slots or metric rectangular slots in the press table. Die Rails, VKA and VKS, for press tables and die support are easy to install and they are fitted with the aid of a truck or a crane. 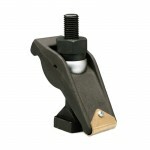 For die weights of 3 tons and more, support stand is included. 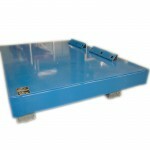 Friction transporters are an excellent solution for safe transport of pieces etc. 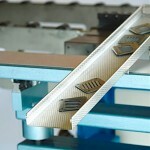 Slide adjustment – QS has been designed to facilitate shorter adjusting time of the slide on excenter presses. The Roll Lubricatior has a minimum consumption of lubricant and it is possible to select lubrication of only one side of the coil/plate. The ball-bearing wear-resistant felt rolls also have a long life. Spray Lubrication is an affordable alternative to rolling lubrication, because it can be installed in just the right place, for example, point lubrication in exactly the area you want to lubricate. With the newly developed pumps and nozzles you avoid the big problems with oil mist on the premises. 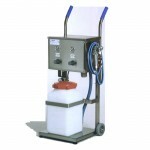 The Lubrication Reservoir is adapted to withstand the press workshops tough environment and dispenses exactly the right amount of lubrication. This allows one to use less lubricant, but also to subsequent operations, like degreasing, etc. can be done to a cheaper cost. 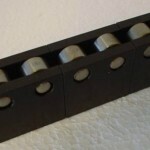 Collect all ferrite metallic waste and items quickly during die change using a magnet. 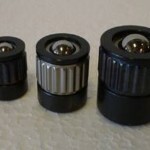 The magnet also does not collect cutting thread oil or lubricant liquids, which is an advantage. 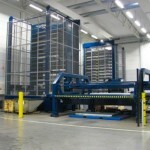 The stack cart is a device for handling a stack of blanks. The cart is normally used in a Destacker application. The construction is simple and solid. 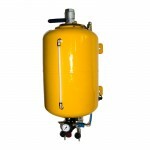 It can be floor mounted or motor driven on wheels.